I have had a lot of help in my life. People have extended themselves in my service. In my times of need I have been offered expert advice, guidance and healing. I have been asked some fantastic questions and I have been wholeheartedly listened to. These people have been coaches, friends, employers – even passersby – and have been key relationships for me. My helpers have gone beyond frameworks, beyond techniques, beyond the usual self-imposed boundaries of social niceties. That is not to say that frameworks and techniques are not important, but I have learned that they are not what makes the real difference. At the core of what I find meaningful and effective is becoming more of who I am with the support and relationship of another. Someone who can meet me head, heart and soul. When I trained as an executive coach it was with a group of MDs and former CEOs – mostly men in search of a new career. Former Captains of Industry wanting to use their skills and experiences to help others and find a new career for themselves. At that time, grandiose claims were made about tangible benefits of coaching and mentoring: “Increase your profit margin within six months of working with me or your money back!” was one of the most cringe worthy; “I can make you slim! !” another (and as it turned out, he couldn’t!). These facile and false promises left me dispirited and angry – suggesting as they do a magical quick fix. As part of our training we met and were taught by the great and the good of the contemporary coaching scene. It was exclusive, well-boundaried, business-like and useful to some extent, but I left that intensive programme feeling poorly prepared to help the real people I was working with and longing for more. In my view, for real change and development something more is needed, something more wholehearted and more focused on the whole person, not simply their latest business challenge or potential promotion. Since I became a coach there has been a succession of fads and buzz words: “harnessing difference”, “working with diversity”, “accelerating out of recession”, “being yourself at work” to name but a few. Alongside these themes have been methodologies or techniques that have been offered and practised – some of them by me. There is a seductive siren call to some of these approaches – if you just do this, or if you just master that, then you will be successful/happy/thin or whatever else is dangled before us like fruit before Tantalus. Some of these approaches have worked; others have seemed little more than smoke and mirrors – trailing disappointment in their wake and provoking a relentless search for the next big thing. One year we all got trained in NLP, the next it was systems thinking, and this year it’s mindfulness. It’s not that these approaches are invalid. I use them. They are all worthwhile, helpful tools – or to use a more fitting metaphor – useful frames for the human landscape. But that landscape is vast and wide, its terrain is complex and diverse and to think that it can be contained by any one approach is pure folly. Too often, single-approach practitioners working within a specific framework have self-imposed constraints in which they work which actually limit the learning around the very questions those that seek help from them are struggling with. I have heard these constraints articulated as ‘I don’t do therapy’ or ‘I just ask provocative questions’ – irrespective of what is needed by the client. This could sound like a treatise advocating an integrative mixture of different approaches, and it is. And it isn’t. I am advocating an approach that works with the whole person; an approach that requires a lifelong commitment to learning and growing and becoming more whole oneself both for the coach and for the person they are working with. Consciousness – building an informed awareness of choices facing us, our own preferences and default settings and an understanding of our impact on others. These fundamental issues are made manifest is so many different ways. Sometimes they are dressed up in business speak, sometimes adorned with psychobabble, but irrespective of the particular manifestation the questions seem to be the same – they are deeply human, highly relational and for movement require an engagement with head, heart and soul. This brings me to the whole person and what on earth I mean by this. 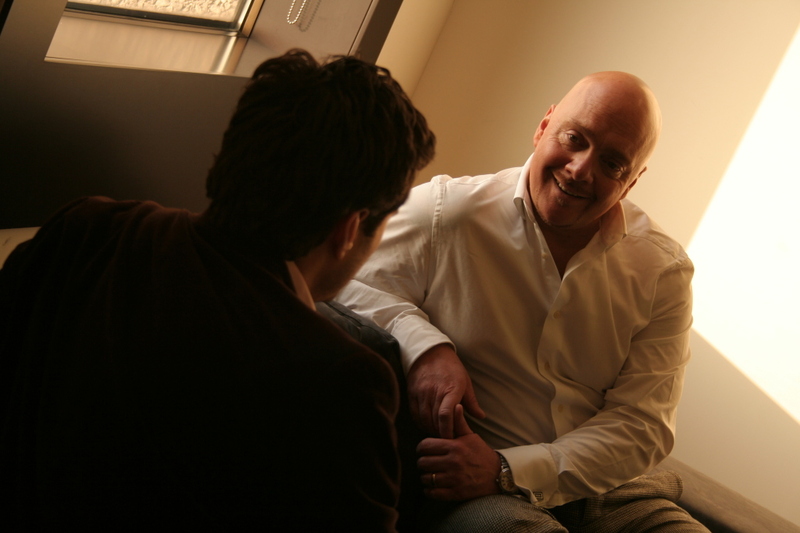 How can coaching and mentoring really engage a whole person? Hopes and fears, strengths and weaknesses, love and hate, sickness and health, intellect and emotionality, yin and yang? The real and abiding question for me is if a helping relationship is to be truly effective, how can it not engage the fullness of a person? A whole person approach is peer-oriented, working through and out of relationship and goes beyond the known. The desire is to work with and seek out the whole person, rather than a well-trodden framework, approach or theory. This for me represents a new paradigm. As a coach and more fundamentally, as a person, my path towards wholeness and my journey towards offering a more head, heart and soul approach in my practice has been through a lifelong quest to balance my sense of my own strength and durability with my sometimes equally strong sense of my own brokenness. This inner tension has led me to work with Oasis. For me, the significant core of the approach we take to coaching and personal and professional development is real relationship and authenticity. In my practice as a coach I am fully myself. I bring my history, my wisdom – all that I am and know and all that I am willing to learn – in service of the development of the person I am working with. It is a privilege. In the development of leadership this will often mean working with those three fundamental questions – working on leadership from the inside out. Not imagining that anyone’s life can be changed for the better without relationship to a person rather than a concept or technique. I am lucky to be part of a vibrant and challenging community of practice and research. Without relationship I cannot be fully who I am and I need to learn and grow and develop or risk being redundant and old hat. To be a coach or mentor who can operate in this way requires a willingness to be on your own developmental journey; to learn to discern your own relationship to power and authority and to have a consciousness of the biases you bring. Without such a commitment, you risk your own patterns driving the work and getting in the way of development. Offering a space for another to think, feel and practise is the best work. Being able to do this wholeheartedly brings real results. Having such a space for yourself is vital if you are to answer your own questions. Coaching and Mentoring with Head, Heart and Soul is the most radical, the most applicable, the most sustainable and yes, the most wholehearted, in the bewildering array of training options en route to coaching and mentoring. I wish something like this had been available when I took my first steps towards being a coach. If you want to develop yourself to be able to help people in this way – as a career or as an enriching part of your daily life – then take a look at the programme.